Monthly recap | August '14. Camping adventure. I’m going to include a couple of pictures this time, because I’m going to tell you all about my camping adventure. My boyfriend and me went on a little trip from August 4th to August 7th. For both of us the first time camping and also officially our first sort-of vacation together. We biked around 75 km. I deleted the story and pictures, because at the moment (after the whole drama that's going on about the author stalking someone) I don't feel good about having this on the internet..
Short adventure, but we had a great time together and the nature was stunning. Camping isn’t THE thing for me. I’m used to more comfort (yep, I totally admit I’m spoiled). Although, I’m definitely open to try it again. -I had a shopping day with my sister. -I’ve been stressing over my internship, because nobody responds and my last option was declined by my supervisor because it was ‘too academic.’ I can’t start this month, so hopefully I find something for October! It’s frustrating. -Book club meeting! We had Sushi, delicious. Review 283. 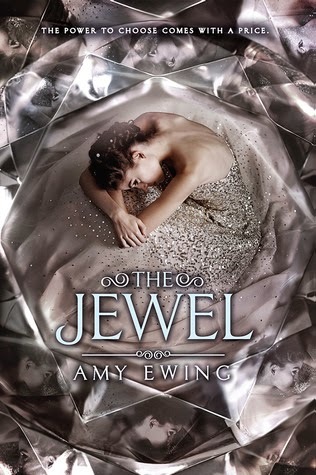 Amy Ewing – The Jewel. Published: September 2nd 2014 by HarperTeen. Sort: The lone city #1. The Jewel means wealth. The Jewel means beauty. The Jewel means royalty. But for girls like Violet, the Jewel means servitude. Not just any kind of servitude. Violet, born and raised in the Marsh, has been trained as a surrogate for the royalty—because in the Jewel the only thing more important than opulence is offspring. Purchased at the surrogacy auction by the Duchess of the Lake and greeted with a slap to the face, Violet (now known only as #197) quickly learns of the brutal truths that lie beneath the Jewel’s glittering facade: the cruelty, backstabbing, and hidden violence that have become the royal way of life. Violet must accept the ugly realities of her existence... and try to stay alive. But then a forbidden romance erupts between Violet and a handsome gentleman hired as a companion to the Duchess’s petulant niece. Though his presence makes life in the Jewel a bit brighter, the consequences of their illicit relationship will cost them both more than they bargained for. *stab, stab, stab* was my initial reaction when I finished this book. I just wanted to break something out of frustration, because this book features one of those dreaded insta-loves – and it’s really, really bad. The other aspects of the book weren’t amazing either, but I could deal with those until I reached the ending. The story just fell apart after the introduction from the ‘romance’ and it’s just not okay to finish a book like that. The more I think about this book, the more I start to hate it. I initially gave it 2 stars on Goodreads, but after finishing my rant I have to give it 1 stars. Fairytale News | Other content. Lately I’ve been thinking about something I want to change about my blog – or add, it’s just how you want to see it. My main hobby and passion is reading, but something else I love to do is watching TV shows and movies. I’ve had a couple of blog posts about this, like my top 10 favorite movies/TV shows, my favorite TV shows or my explanation on why I love Disney so much and this made me think: I want to highlight this. I’ve added a ‘watched’ section to my monthly recap posts, but what if I give it a more prominent place on my blog? This idea was inspired by Celine’s move from Nyx book reviews to her new blog Irresponsible cactus. I could never leave this place and start something new, but I’d love to branch out some more like Celine. There are also blogs I follow like Nerdette reviews and Reviews from a bookworm who often post reviews from movies or Rinn Reads with her Turn off the TV feature and Amber recently started her Books in motion feature. I love to read them and I've found some great recommendations there. My blog will always be mainly about books and everything that has to do with reading, but why would I restrict myself to only that if there are so many other things I like? Now, my main reason for this post is asking you, how do you feel about that? Would you be interested in more different posts? I have the idea that would show more of my personality, because I’m not only a reader. I know this is my place and I can do whatever I want, but at the same time I don’t want to post content you aren't interested in. Things you could expect are topics like: best animation movies (according to me), posts with short reviews from movies I've seen that month, if you like X you would like Y, book/movie combinations, mood recommendations and hopefully a lot of Disney/book comparison posts. I don’t think I would post them very often in the beginning, just to see how it works out. This also brings me to a discussion topic. Is a blogger only a book blogger if their content is solely about books or can they still carry that name if they post about different things too? I feel you could post about more things if at least 50% of your posts is based on something bookish. It doesn’t have to be a review, but discussion posts, bookish confessions or tips count as well. I like the diversity! Let it go | Alias Hook, Eona and Adorkable. 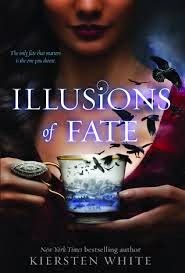 Today a DNF review for a fairytale retelling that just didn't work for me. It's a shame, because it's about my favorite character from the TV show Once upon a time and I was hoping to get some interesting background story; Alias Hook. 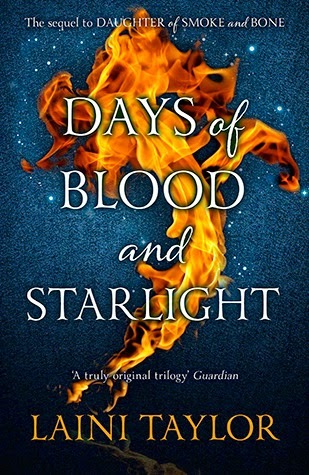 I also review the second book in the duology about Eon/Eona, which disappointed me and I was surprised by Adorkable. I liked it more than I thought I would, because I don't read many fluffy contemporaries. Review 282. Libba Bray – The diviners. Published: September 18th by Little, Brown books for Young readers. Evie O’Neill has been exiled from her boring old hometown and shipped off to the bustling streets of New York City—and she is pos-i-tute-ly ecstatic. It’s 1926, and New York is filled with speakeasies, Ziegfeld girls, and rakish pickpockets. The only catch is that she has to live with her uncle Will and his unhealthy obsession with the occult. Evie worries he’ll discover her darkest secret: a supernatural power that has only brought her trouble so far. But when the police find a murdered girl branded with a cryptic symbol and Will is called to the scene, Evie realizes her gift could help catch a serial killer. As Evie jumps headlong into a dance with a murderer, other stories unfold in the city that never sleeps. A young man named Memphis is caught between two worlds. A chorus girl named Theta is running from her past. A student named Jericho hides a shocking secret. And unknown to all, something dark and evil has awakened. First of: this book is creepy! Don’t let the thickness of this book stop you from reading this one, because it’s a great story with interesting characters. I’m happy we decided to pick this book up for our book club, otherwise I wouldn’t have read this one any time soon. Here you can find all the details about my Sign up post and goals. You can also follow my progress on Twitter with the hashtag #dailyboutofbooks. You can find some of my photographs on my instagram: Mel_1704. Review 281. Kristin Cashore – Bitterblue. A very solid conclusion to a good series. Bitterblue wasn’t my favorite character from the series, but I liked how she developed and it was interesting to see the mystery reveal piece by piece. Review 280. Kristin Cashore – Fire. Published: October 5th 2009 by Dial boks. It is not a peaceful time in the Dells. The young King Nash clings to his throne while rebel lords in the north and south build armies to unseat him. The mountains and forests are filled with spies and thieves and lawless men. This is where Fire lives. With a wild, irresistible appearance and hair the color of flame, Fire is the last remaining human monster. Equally hated and adored, she had the unique ability to control minds, but she guards her power, unwilling to steal the secrets of innocent people. Especially when she has so many of her own. Then Prince Brigan comes to bring her to King City, The royal family needs her help to uncover the plot against the king. Far away from home, Fire begins to realize there's more to her power than she ever dreamed. Her power could save the kingdom. If only she weren't afraid of becoming the monster her father was. This is such a powerful story about a broken girl who starts to discover her own possibilities. I loved seeing Fire grow and how she begins to accept herself. Sometimes it was on the line of becoming whining, but at the same time it’s not strange she had such a hard time. Top 10 Tuesday 36. Books I’m not sure I want to read. Today’s topic is all about books we’re not sure we want to read for different reasons. Bout of books sign-up + goals. Are you participating? Leave a link to your sign-up/goal post! Published: May 23rd 2013 by Hodder and Stoughton. Sort: Penryn & The end of days #1. Savage street gangs rule the day while fear and superstition rule the night. When angels fly away with a helpless girl, her seventeen-year-old sister Penryn will do anything to get her back. I was completely blown away by this book! Most authors fall for those cliche traps where they take a much used topic and don’t manage to add something new to it. Not Susan Ee. This book changed the way I look at Angels and I love how she turned everything upside down. It’s time to let go of every Angel image you have. It’s time to meet the apocalypse Angels. Fairytale News | Do you comment on older posts? I like to stay up to date when it comes to commenting. I leave comments around the blogosphere almost every day, because I follow a lot of blogs and I want to give everyone some comment love. It sometimes still happens that I’m behind on commenting. If I take my situation now; I went away for four days and I have around 500 unread posts I still need to comment on. Sometimes it's so tempting to click on the 'read all' button, but I would feel.. guilty and I'm afraid I missed exciting posts. This got me thinking, how do you feel about commenting on older posts? Do you feel like it’s a waste of time, because the blogger is already several posts further? Or do you feel like you still want to give that old post some comment love? Sometimes I like to scroll in the archive from a blog and I'm not sure if it's appreciated if I comment on a very old post or if those posts just doesn't matter anymore. So, how do you feel as blogger if you get comments on older posts? I personally love it, because it shows me that people pay attention to my blog. That sometimes they might look for a review and that they have found it on my blog, doesn’t matter how old it is. I think older posts, like older books, always deserve comment love and attention. Review 278. Alison Goodman – Eon. Published: August 31st 2014 by Firebird. Sixteen-year-old Eon has a dream, and a mission. For years, he's been studying sword-work and magic, toward one end. He and his master hope that he will be chosen as a Dragoneye - an apprentice to one of the twelve energy dragons of good fortune. But Eon has a dangerous secret. He is actually Eona, a sixteen-year-old girl who has been masquerading as a twelve-year-old boy. Females are forbidden to use Dragon Magic; if anyone discovers she has been hiding in plain sight, her death is assured. Review 277. M.R Carey – The girl with all the gifts. Title: The girl with all the gifts. Published: June 19th 2014 by Orbit. NOT EVERY GIFT IS A BLESSINGEvery morning, Melanie waits in her cell to be collected for class.When they come for her, Sergeant Parks keeps his gun pointing at her while two of his people strap her into the wheelchair. She thinks they don't like her. She jokes that she won't bite. But they don't laugh.Melanie is a very special girl. Melanie loves school. She loves learning about spelling and sums and the world outside the classroom and the children's cells. She tells her favorite teacher all the things she'll do when she grows up. Melanie doesn't know why this makes Miss Justineau look sad. I would never have bought this book if it was for the cover, but I’m happy I didn’t let it scare me away. Thanks to the awesome promise, my name and the glowing reviews I took it with me when I visited the bookstore. I was hooked from the moment I opened it! I'm going to stay as vague as possible, because I want you guys to go blind in this book like me. I recommend being that you are careful with reading reviews on Goodreads.